Acts 16:30 - Sirs, what must I do to be saved ? 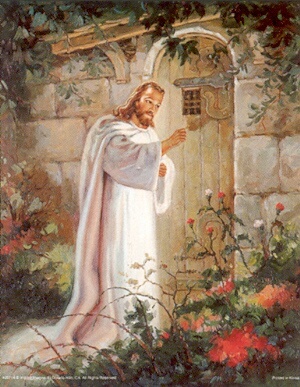 Behold, I stand at the door, and knock: if any man hear my voice, and open the door, I will come in to him, and will sup with him, and he with me.I will come in to him, and will sup with him, and he with me. PRAY NOW.... JESUS, I BELIEVE THAT YOU ARE THE SAVIOR AND I CONFESS THAT I AM A SINNER AND NEED YOUR FORGIVENESS....SAVE ME NOW, LORD....I AM SO SORRY WITH ALL MY HEART FOR MY SINS, AND REPENT OF THEM.... THANK YOU FOR SAVING ME, A WRETCHED SINNER FROM CERTAIN DEATH & HELL ! Thank You, JESUS, for making salvation possible ! The Word says that we can all be saved if we repent of our sin and believe in JESUS as GOD'S SON and accept His gift of salvation. Salvation is a FREE GIFT from our LORD, but in order to receive it, you must accept it, just like any other gift that is offered to you ! Luke 8:13 - They on the rock are they, which, when they hear, receive the word with joy; and these have no root, which for a while believe, and in time of temptation fall away. Which one will you enter into when you pass from this Earth ? John 2:22 - When therefore he was risen from the dead, his disciples remembered that he had said this unto them; and they believed the scripture, and the word which Jesus had said. Luke 24:34 - Saying, The Lord is risen indeed, and hath appeared to Simon. Romans 8:34 - Who is he that condemneth? It is Christ that died, yea rather, that is risen again, who is even at the right hand of God, who also maketh intercession for us. 1st Corinthians 15:20 - But now is Christ risen from the dead, and become the firstfruits of them that slept. Colossians 2:12 - Buried with him in baptism, wherein also ye are risen with him through the faith of the operation of God, who hath raised him from the dead. Colossians 3:1 - If ye then be risen with Christ, seek those things which are above, where Christ sitteth on the right hand of God. Matthew 9:13 - But go ye and learn what that meaneth, I will have mercy, and not sacrifice: for I am not come to call the righteous, but sinners to repentance. Mark 6:12 - So they went out and preached that men should repent. Acts 20:21 - testifying both to Jews and to Greeks of repentance to God and of faith in our Lord Jesus Christ. Matthew 22:8 - Then saith he to his servants, The wedding is ready, but they which were bidden were not worthy. Romans 5:21 - That as sin hath reigned unto death, even so might grace reign through righteousness unto eternal life by Jesus Christ our Lord. Romans 6:9 - Knowing that Christ being raised from the dead dieth no more; death hath no more dominion over him. Matthew 10:22 - And ye shall be hated of all men for my name's sake: but he that endureth to the end shall be saved. Matthew 7:23 - And then will I profess unto them, I never knew you: depart from me, ye that work iniquity. Acts 2:38 - "Then Peter said unto them, 'Repent and be baptized every one of you in the name of Jesus Christ for the remission of sins and ye shall receive the gift of the Holy Ghost". Luke 11:10 - For every one that asketh receiveth; and he that seeketh findeth; and to him that knocketh it shall be opened. Luke 12:36 - And ye yourselves like unto men that wait for their lord, when he will return from the wedding; that when he cometh and knocketh, they may open unto him immediately. "SCRIPTURE lovingly transcribed from The King James Version of OUR LORD'S HOLY BIBLE." Thank You, JESUS, for making salvation possible ! The Word says that we can all be saved if we repent of our sin and believe in JESUS as GOD'S SON and accept His gift of salvation. Salvation is a FREE GIFT from our LORD, but in order to receive it, you must accept it, just like any gift that is offered !